Chris Williams is a member of Cardiff Astronomical Society who has an exhibition of sculpture inspired by his interest in astronomy. The exhibition is at The Mid Wales Arts centre, Caersws until the end of October 2013. Chris has lectured at the Swansea Astronomical Society. 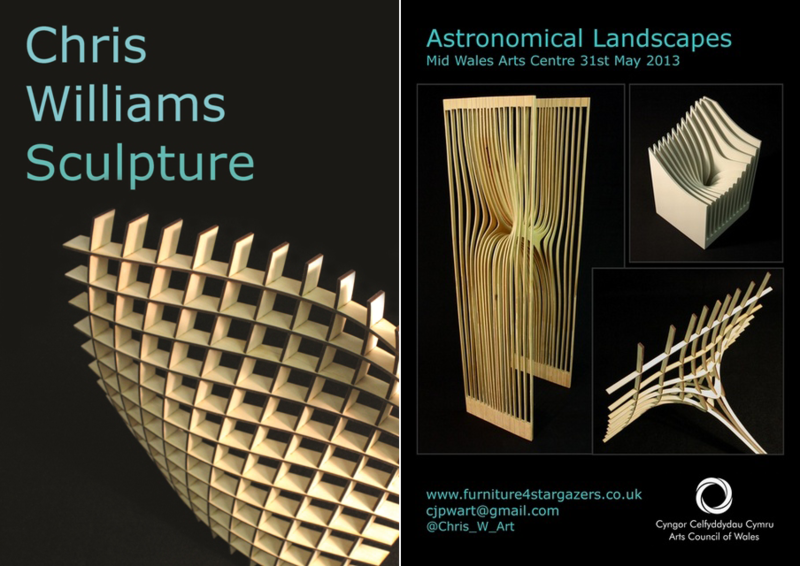 He has a beautiful wooden sculpture on exhibition at the Herschel Museum of Astronomy in Bath.